In a world where public transport is undergoing radical transformation, we believe that the future for rail transport requires focusing on passenger needs. To offer greater freedom and enhanced fluidity, we see the train as the solution at the centre of a large choice of transport modes (car-pooling, car-sharing, bus, taxis, etc.). Because the travel experience doesn’t stop when passengers pull into the station, we ensure an end-to-end mobility solution to take them to their final destination. integrated ticket dispensers (smart-phone apps enabling transport ticket purchase and validation. As such, being part of the multi-modal transport offer, rail has its place in the mobility model of the future modern, adapted to demand, serving the regions. Our priority: to ensure the safety of our travellers and our employees (link to Local Authorities page > Safety for all). 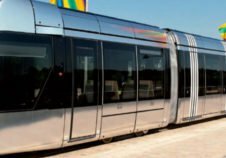 In France, we are a licensed rail transport company and have a safety certificate issued by the State. Our employees are the first guarantors of the quality of our services. For this reason, we place a lot of importance on their training: training teams, cutting-edge technologies, driving simulations, etc. : a real continuous improvement approach designed to offer greater safety and comfort. Thanks to our knowledge of the rail transport system, we can lend support to local authorities in the upstream phases of their rail transport projects. We provide rolling-stock maintenance in our workshops and maintain infrastructures with the expertise of our subsidiary, Transamo (link to Local Authorities > Monitoring and management > Engineering). Certified by the French National Authority in charge of Rail Safety (EPSF), our rail transport training centre ensures our employees receive continuous training and assessment to guarantee and maintain the finest quality of service. As the first private rail operator in Germany, we operate 16 major rail concessions in 9 Länder. The objective is to revitalise these ill-served regions, develop the market share of regional rail transport and to reopen abandoned lines, while optimising the use of public funds. Optimise, rejuvenate and sustain the small, ill-served, regional stations as much as the major hubs: we are proud of the expertise that makes us a trustworthy alternative operator to ensure maintenance services for, and help popularise regional rail networks. 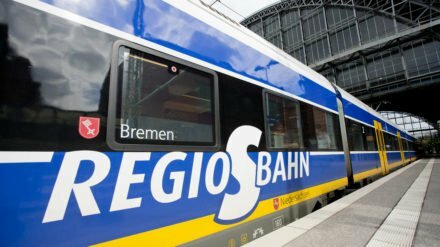 Thanks to our partnership, the regional rail transport offer for passengers has increased 3% in Germany, rising from 651 million to 673 million train-kilometres travelled between 2014 and 2016. 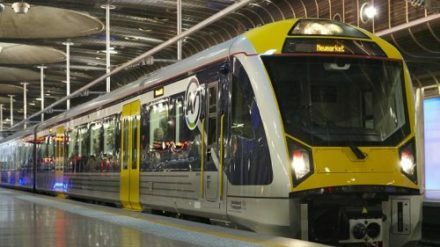 In 2006, the Auckland urban area began the electrification of its rail network. Transdev seamlessly carried through the technological transition of this suburban rail system. Transdev has been operating Bremen’s four suburban rail lines since 2010. These lines, which carry 18.5 million passengers a year, are widely recognized for their reliability and are a genuine showcase for Transdev’s excellence in the rail transportation sector. 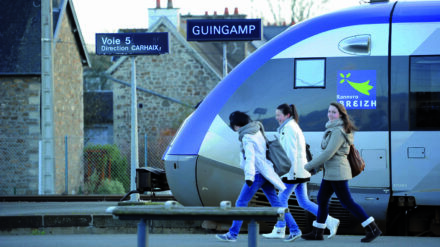 The Carhaix-Guingamp, Guingamp-Paimpol and “La Vapeur du Trieux” lines play a central role in Brittany’s regional planning for both passenger and freight transportation. Transdev has operated these three lines and their 90 kilometers of track since 2006. A long-standing rail operator, Transdev stepped up its development in this transport segment following the reform of the French rail system. 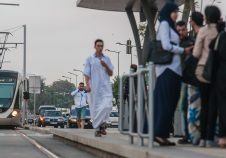 As a provider of urban and multi-modal transport solutions, the Company develops public transport networks and lends its expertise in rail network management.